What does formative assessment look like, and when should I use it? What kind of planning does it require, and what kinds of data does it generate? 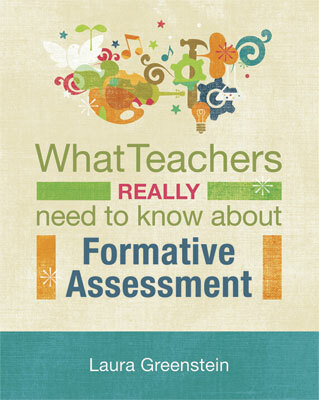 How will formative assessment improve my teaching and help my students succeed in a standards-based environment? How does it relate to my application of multiple intelligences theory, to differentiated instruction, and to everything else I’m already doing in my classroom? If you’re looking to take formative assessment from theory to practice—and from practice to genuine learning improvement—this is the place to begin. LAURA GREENSTEIN has been an educator for 35 years. She has experience as a classroom teacher (pre-K to 12th grade), department chairperson, board of education member, and professional development specialist. She is also an adjunct professor at the University of Connecticut and the University of New Haven. Her years spent outside of public education in state, federal, and nonprofit organizations have expanded her outlook on education. She has also served on local, state, and university leadership committees.